At last month’s Bute Community Council meeting the full agenda was actively discussed by community council members and members of the public. (1) Cal Mac – A time table was passed out detailing departing and arrival times, and turnaround times. There were many points regarding clarification, especially from various members of the public. The convener stated that she, along with vice-chairman John McCallum and transport rep Robert McIntyre, would be meeting with reps from Cal Mac and would present the matters discussed. By a show of hands, it was mainly accepted that Cal Mac were providing an adequate service and number of ferry sailings. 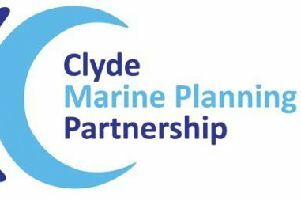 (2) Proposed fish farm – There were many objectors to this, however, as was explained by Provost Scoullar and Ronnie Falconer (planning rep), no planning application had been applied for as it was only in the discussion stage. (3) Road maintenance – Community council member Iain Morrison asked about road maintenance on the island and asked if the three Argyll and Bute Councillors in attendance had been consulted on this matter. Provost Scoullar and Councillor Moffat both stated that it was the Road Survey who decided. The convener said that she would arrange a meeting with Tom Murphy regarding this. Other matters discussed at the meeting were decommissioning of oil rigs in Loch Striven, the difficulty in getting ambulances to the helicopters due to parking by car owners, the fact that the new lifts on the pier were breaking down, the lack of an indicator board at Port Bannatyne to inform vehicle owners of cancellations to Rhubodach Ferry, the possibility of widening pavements on Rothesay High Street and the acceptance of responsibility for Christmas lights. There were 22 members of the public present. Bute Community Council meets on the third Wednesday of the month (except August and December), usually in Bute Museum, at 7pm.